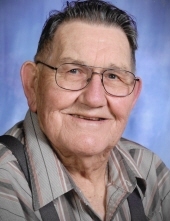 William “Bill” H. Hebl, 87, passed away Saturday, November 17th 2018. Mass of Christian Burial will be celebrated at 10:00 am on Wednesday, November 21st at St. Mary’s Catholic Church in Oxford with Rev. Robert Cloos officiating, Visitation will be Tuesday from 4 to 7 PM at Lensing Funeral and Cremation Service, Iowa City, where a rosary will be recited at 4 PM. Graveside Committal with Military Honors will be at 1:30 PM Wednesday at Mt. Calvary Cemetery in Cedar Rapids. In lieu of flowers memorials may be directed to American Heart Assn. or the Knights of Columbus, Marion, IA. Bill was born February 6, 1931 in Iowa City to Elmer and Mary C (Kasper) Hebl. Bill was the oldest of 10 children. In 1949 Bill graduated from U High School. He worked the family farm, and then went into the Iowa National Guard and then transferred into the U.S. Army. Bill was sent over-seas to serve in the Korean War, as a combat medic and company clerk. In the winter of 1955 he returned home and began farming the family farm while still serving as a US Army Reservist. Bill met his future bride Mary Ann Lynch at a Catholic Order of Forester Christmas party in 1955, where Mary was playing Santa Claus. After a short courtship, Bill married Mary Ann on June 21, 1956. A year later they started their family of 8 children. Bill farmed for the next 10 years before taking a job with the United State Postal Service. To support his growing family Bill held part time jobs at Sears and George’s Pizzeria. In 1965, the family moved into Iowa City from the farm. In 1970, Bill accepted a job as a Civil Servant for the US Army Reserve Center in Cedar Rapids where the family then moved. He retired in July 1991 as a Captain in the Army Reserve. He loved to garden, do wood working, tinker with model trains and bird watching. Bill was actively involved with the Knights of Columbus at St. Pius X Church in Cedar Rapids. Bill returned to Iowa City following the death of his beloved wife of 54 years on November 9, 2010. Bill was preceded in death by his wife; his daughter, Margaret (Hebl) Staude; his step-grandson Daniel Gray, his parents; his brother, Maynard; and in-laws. Survivors include his children, Kathy (Bill) Buman of Harlan, Deb Hebl of Des Moines, Rose (Ron) Pennebecker of La Crosse, WI, Ed (Brenda) Hebl of Corydon, Henry Hebl of West Branch, Helen (Mike) Curley of Davenport, William J Hebl of Cedar Rapids, and son-in-law Rod Staude of Norwalk; twelve grandchildren, three step-grandchildren, five great- grandchildren and four step-great-grandchildren. To send flowers or a remembrance gift to the family of William "Bill" H. Hebl, please visit our Tribute Store. "Email Address" would like to share the life celebration of William "Bill" H. Hebl. Click on the "link" to go to share a favorite memory or leave a condolence message for the family.